The UW-Madison Master of Science in Curriculum & Instruction program with dual certification was created for those whose passion for learning and commitment to diversity has inspired them to transform the education experience for others as a teacher. Everything about the structure and organization of our secondary education program was designed with one outcome in mind—to create a better world in the classroom. We do this by preparing teachers with the skills and tools they need to be confident leaders in the classroom and community. Our intensive sequence of coursework, community/classroom fieldwork experience, and student teaching demands a high level of personal commitment that extends over two summers and academic year. Whether you’re a professional looking to change careers or an undergraduate student looking to start a first career, our program will help you take the next step. Graduates of our secondary education degree program will be certified in both their subject area and in English as a Second Language. Which subject area are you interested in learning more about? Follow our recent posts about the program and the teaching profession on Facebook! Applications are being taken for the summer 2019 cohort. 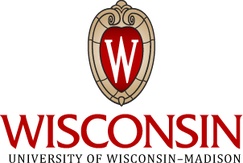 New US News ranks UW-Madison School of Education #1—read more about it!